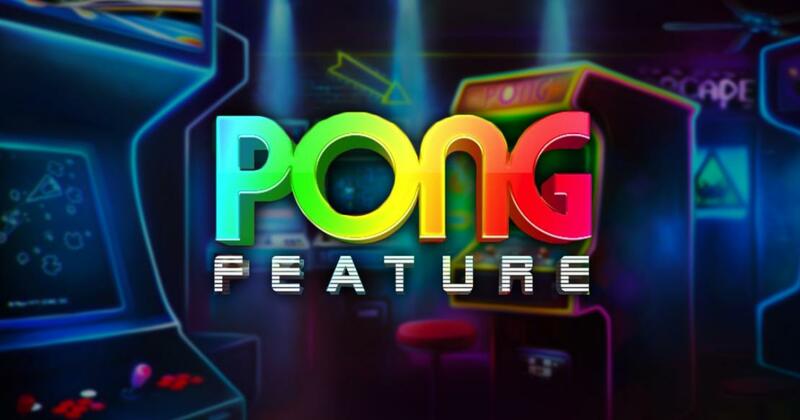 Pong comes to us via Pariplay and it’s a slot machine which delivers a theme that is based on the popular Atari game. The game of Pong was originally released back in 1972, by Atari. These days, it’s obviously not as much played, but it remains a game that a lot of players got their start into the gaming world with, and so the nostalgia factor is certainly something to consider in its case. Pariplay chose to create a branded slot that is inspired by the game of Pong, and they turned up with a 5 reel title, which delivers several symbols that are related to this game, while many others have images of fruits on them. Even the fruits look like they’re part of Pong though, and they’re placed on the back of colorful memory cards. The Atari sign is one symbol that you see, marked as a wild, while the high-paying icons have old TV sets, Atari machines and joysticks. The less important symbols of Pong will have bells, cherries, plums, oranges or lemons on them. The retro look was adequately chosen for this slot machine, especially since that’s exactly what you expect to find in it. Pong plays with its 20 active lines arranged on 5 reels. There are about six types of wild symbols that you can get, ranging from regulars to expanding, with multipliers or respins. The slot doesn’t pay a lot of money in one go, its regular combinations offering $400 at most. As a player of Pong, you have to expect to cover 20 active lines, and for that purpose you select bets that vary between $0.20 and $20. Naturally, this means that you can’t spend more than $1 on one line, and so the wagers and rewards are both on the low side. The features of Pong will rely on the Atari Wild symbol, and you get to use it in all sorts of ways. The Atari Wild is a substitute at its basis, but it can influence the slot differently, depending on which version you get. The Referee Wilds, as they’re called, will appear in the middle position of reel 3 each round and they will spin and turn into another symbol. It could be a regular symbol, or it could be one of the six wilds. These wilds can bring you multipliers, they can expand horizontally or vertically, they can be regulars, or they can bring along respins. It’s a very cool game to play if you’re a fan of the original Pong, or if you’re just curious about it.